Stellar Drop From The Village! Since 2009 The Village has been synonymous with connoisseur cannabis in California. This week they have graced us with another phenomenal lineup of fresh bud just in time for the holidays! New to the roster is Str8 Lemonade, a powerful Sativa dominant hybrid. 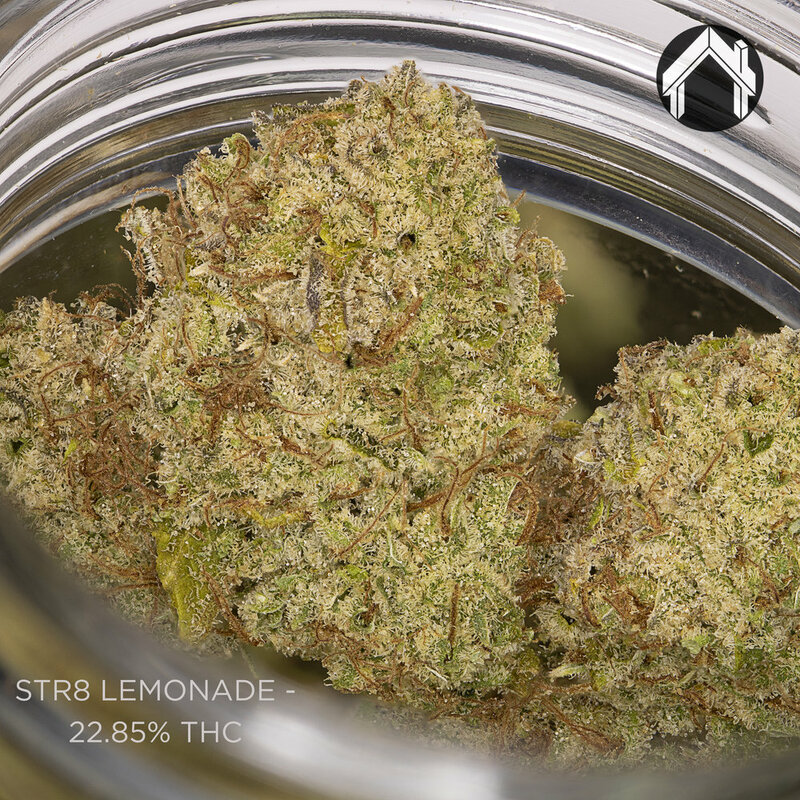 If you are a fan of Super Lemon Haze from The Village you will find Str8 Lemonade to be a pleasantly stronger high with a sharp, less sweet taste. WiFi Mints (Wifi 43 x Animal Mints) is back with a vengeance! Known for a reliable, couch-lock body high even at the previous testing of 17% THC this bud has ascended to couch-coma status with 25.61% THC. Returning for the second time is the wonderfully pungent and potent Jungle Cake (White Fire OG x Wedding Cake). The highest testing at 26.94% THC it takes the cake on knocking out pain and insomnia. Wedding Crasher #18 (Purple Punch x Wedding Cake) just keeps getting better and better. One of the most flavorful buds on our menu it has a unique aroma of frankincense and myrrh. The high is as soothing as the scent. Come in and try them all before they’re gone!! Newer PostFantastic Flavors from Flow Kana! Older PostAmazing Drop From The Village!